We conclude our three-part 35th Anniversary blog series about our past, present and future by talking with Mike Gordon, President of CC Pace, on his vision for the future of CC Pace. Mike has built and led a company that has grown by attracting people with a common set of beliefs that focus on quality, integrity and keeping customers’ best interests in mind while delivering results. 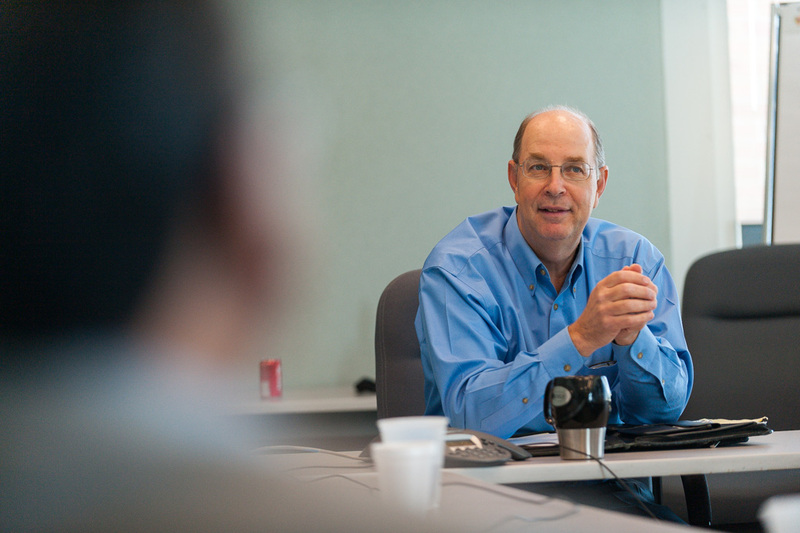 As our leader, learn how he plans to drive the company forward. What are you most excited about when you think of CC Pace’s future? A new set of leaders who will set their own vision and their own path to get there. We have a lot of very talented people here who, combined with some people we will bring in from the outside, will become our new leaders. It is these new leaders who will bring new ideas and approaches to help us provide innovative solutions to be delivered to our clients in the future. What one goal for CC Pace tops your list when you think about the next 3-5 years? One goal that stands out when I think about the future is leadership development and transition. We are focused on grooming and mentoring our leadership from the inside, receiving outside leadership training, and the opportunity to try (and sometimes fail) as we pursue new business opportunities and models for execution. We are in a people-based business and we need to be spending sufficient time developing our current and future leaders, while still delivering on our current day-to-day business and the needs of our clients. In what areas do you see CC Pace growing in the next 5 years? From a revenue standpoint, the federal market will likely see the most growth. We have made a committed investment there that we are just now starting to reap the rewards. On average, the projects for the federal space tend to be larger and longer-term than private sector projects. That being said, I also anticipate growth in all of our practice areas. The Financial Services industry is starting to turn around and rebound, and new opportunities are developing there. For Staffing, I see us continuing to stay in the high end of the value-oriented staffing arena versus commodity-based staffing, and I see increased demand for this type of service. Our Agile practice, which includes training, coaching and software development, will expand as a result of our marketing strategies and as we introduce new offerings to the market. From a corporate perspective, it’s in marketing. Finding new, quality clients is fundamental to sustaining and growing any vibrant business. We’ve long lacked a dedicated strategy and commitment to marketing and let repeat/referral business drive revenues. Today, under our Corporate Marketing Manager, Jenna Bayer’s leadership, we’ve made tremendous strides to change that, and I expect that this marketing initiative will continue to grow and develop. How does CC Pace’s current focus prepare us for the future? Two things that prepare CC Pace for our future is the type of people we hire, and our business model. The people we hire are adaptable, creative and solutions-oriented. They are good at solving problems and are very customer-focused, which is key for a B2B business. Our people have strong values; you can teach people a lot of things, but values is often not one of them. These values are important because individual values need to be in alignment with our company values. The market is constantly changing and our business model is designed to be very adaptable. We are able to look at what is going on in the market and determine what solutions will work for each unique situation. Part of this adaptability is the diversification of our three business units (Enterprise Solutions, Financial Services and IT Staffing) which complement each other. CC Pace’s business model focuses on delivering value to our clients and it is this outcome-driven business model that sets us up for long-term relationships with our clients. When you think about the future of CC Pace, what is the biggest challenge you see for the company? The biggest challenge I foresee is dealing with change. Change is good, but it can be a challenge. While we deal with change management frequently with initiatives at our clients, it’s often difficult to apply those lessons ourselves. In order to be successful in the future and move to a new leadership team with new vision ideas, we will need to change and grow as a company and as individuals. How will CC Pace continue to be successful in the Agile space in response to Agile methodologies that are constantly evolving? The methods will continue to advance and change. We want to be on the forefront both for when we are using the methods to deliver solutions, and when we are training and coaching others to do so. We’re seeing a change right now with Kanban, DevOps, Scaling methods, advanced Agile engineering methods and tools. Ideally, we have a good balance of training/coaching vis-à-vis development – we are able to have our trainer practitioners vacillate between exploring new ways and gaining new experience, and then being able to share that knowledge with others. What is the one bit of advice you’d like to bestow upon the next generation of CC Pace? My advice would be this: be clear about your goals and be patient to get there. Make sure that you have people who are aligned with what you are trying to achieve. Most importantly, recognize that it is less about the speed by which you get there and more about staying focused to arrive at your desired target. The future of CC Pace is in the hands of our leadership team; a team that Mike Gordon has successfully led and mentored for three-and-a-half decades. As CC Pace continues to grow and evolve in the years to come, we will remain a committed partner, whose goal is creating value-added results and solutions for our clients. Stay tuned for the next 35 years! Today, join us for an inside look at CC Pace present day as we continue our three part blog series about our past, present and future in celebration of our 35th Anniversary. When it comes to learning more about CC Pace’s culture and what makes us unique, we’re not just talking about free coffee and whether or not you can wear jeans to work on Fridays (which you can). We gathered three employees from different business units within the company to give us their perspective of CC Pace. 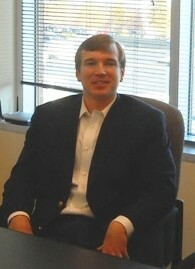 Meet Seth Greenwood, Technical Recruiter in our Staffing division. Seth is a 2012 graduate of James Madison University and has been with CC Pace for 2 years. How did you first hear about CC Pace? I applied online through a job posting on Monster.com. Rechelle Card, Senior Technical Recruiter at CC Pace, then contacted me regarding the position. When we spoke, she piqued my interest in CC Pace by telling me about the clients they support and the opportunities for placements. The company I was working for at the time had a much smaller client base, so CC Pace sounded very attractive to me. I was seeking a greater exposure to both commercial and government clients and CC Pace clearly fit that model. What at CC Pace motivates you about your job? I truly enjoy helping people find their next place of employment. I also appreciate that CC Pace’s mission is different than many other staffing companies in the Washington DC area. We are very quality-centric here with an emphasis on finding the right person for the job; it’s not just a numbers game. Do you feel CC Pace offers a good work-life balance? Yes, in the sense that, while you’re expected to perform, you do not have extremely aggressive quotas and rapid turnover that is common in other staffing companies. I can go home at the end of the day and enjoy my personal time relatively stress-free. We also have flexibility with our personal schedules. 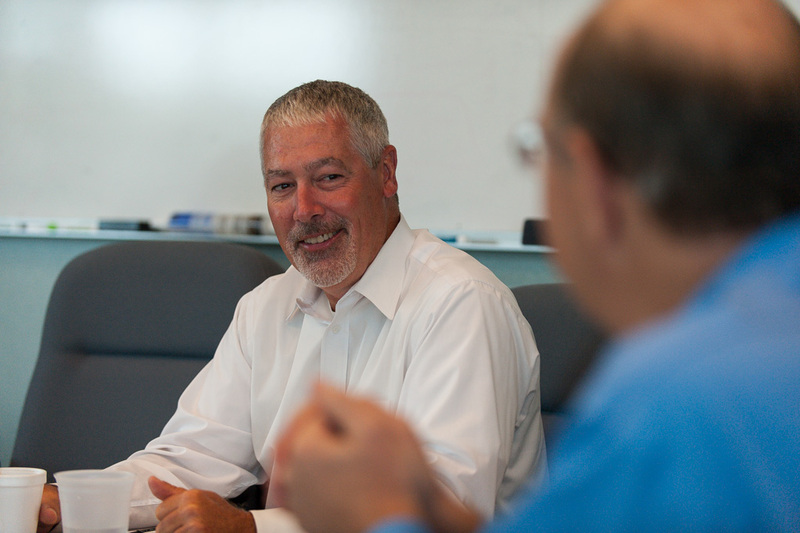 Describe CC Pace’s President Mike Gordon in three words? What are your three favorite things about CC Pace’s location? Describe CC Pace’s culture in three words? Meet Cindy Bloomer, Managing Consultant and Agile Coach for our Enterprise Solutions practice. Cindy has been with CC Pace for 7 years. Based out of her home office in Salisbury, North Carolina, she spends the majority of her time at client sites as an instructor for in-house Agile Training and Coaching engagements. What do you love best about the culture here? Why? The work environment is very fun, supportive and engaging. We have many entertaining social events, activities, and company meetings throughout the year. These occasions give the employees a chance to reconnect since many of us may be on projects at client sites for extended periods of time. CC Pace also offers employees great support when dealing with personal issues or medical problems, and allows you to take the time you need to deal with the situation – and that says a lot! How do you feel you have a voice in the direction of your future at CC Pace? We work hard and have opportunities for growth via engagements that are challenging and rewarding. We often have a say in which assignments we get, and who we work with on a project. Everyone is assigned a “development manager” to help develop our skills, and I routinely interact with mine. CC Pace is very open and transparent internally. Personally, I participate in business planning and strategy for my business unit. I get to see and hear about our corporate state and business plans at our all hands company meetings. While working at CC Pace, what is your favorite memory so far? We had a party at the office where we played a series of games. Some games we broke into teams and some were played individually, even our leader Mike Gordon played along. There was one game in particular that was hysterical, I cannot recall all the details, but I do remember it involved Oreos! That was a great event where everyone companywide was able to interact with one another. What are three words that Sum up your overall experience thus far at CC Pace? What are three things you have learned while working at CC Pace? Recently, I took Scaled Agile Framework (SAFe) courses and was able to get my SPC (SAFe Program Consultant) Certification. I’ve also been learning more about Kanban. By gaining experience as an instructor, I’ve learned many techniques and increased my comfort level speaking in front of a group. Now, public speaking is at a point where it’s just second nature. Working with colleagues at CC Pace has opened my eyes to various tactics for solving problems and approaching tasks. By observing and working with colleagues, I’m constantly being exposed to new ways to accomplish the same things using a different approach. Name three characteristics of CC Pace you credit to the company’s success? 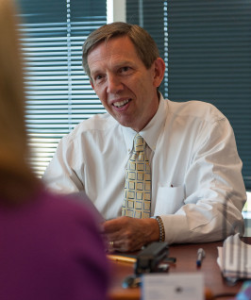 Meet Keith Kemph, Senior Consultant in our Financial Services division. Keith has been with CC Pace for 3 years. 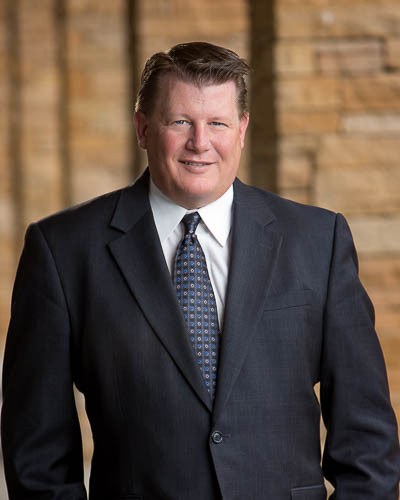 He is a seasoned management consultant who collaborates with our clients on numerous types of projects that include Business Transformation, Process Improvement, Reorganization, Vendor Selection Strategy, Program Management and much more. How do you rate CC Pace’s expertise in your industry? Unparalleled. Bottom line, our financial services consultants are actually mortgage banking experts. The average consultant has been in the mortgage banking industry for twenty three years. As mortgage banking experts we are unmatched in our ability to efficiently design, build, implement and execute on projects. We measure success by successfully completing projects, driving results and ROI. As evidenced by 80% of our projects coming from prior clients, for the last 35 years. Working remotely, what steps do you and your CC Pace team take to stay connected? Great question for someone who lives in Denver, Colorado works on-site at our clients’ office (currently Columbus, Ohio) and whose corporate office is in Fairfax, Virginia. Bottom line, it’s tricky. I have to rely on three key things; weekly team calls, daily emails and several visits to corporate each year. I only wish it was as easy as it sounds on the surface (lol). How do you feel that the work you are doing is aligned with your professional goals and interests? Frankly, I feel like the luckiest guy on earth! While most people ‘fall’ into consulting, I have always known I wanted to be a consultant. I’ve always had a desire to help solve a company’s biggest and most complex challenges in order to help increase efficiencies, reduce costs and improve their bottom line. Pace’s boutique approach ensures that we remain client and quality focused while rich with knowledge and experience that I continue to learn from. All of which is in direct alignment with my professional goals. Tell us three things that attracted you to CC Pace? Simply said: Experience, Reliability and Integrity. What three things would you want a prospective client to know about CC Pace? We are all about solving our client’s greatest challenges, project, or issue, efficiently and effectively. We are truly our client’s partner. It’s easy to say you’re a partner, but to truly be an effective business partner it requires listening intently to our client needs, asking the right questions, collaborating with them to design and implement effective solutions. The most important aspect of or culture, is the relationship. Regardless if you’re a colleague or a client we place significant value on having a relationship with everyone we engage. Through these relationships we build a level of trust that allows us to truly accomplish astonishing results. Describe CC Pace in three words? This year CC Pace will celebrate 35 years of business! CC Pace’s corporate office has been located in Fairfax, Virginia since 1983, and while our address has changed over the years, the foundation in which we built our consulting business on has remained the same. What led you to CC Pace? Mike: In the mid-1970s, there was a company called R. Shriver Associates. Shriver was out of northern New Jersey and they were a financial services technology consulting firm. In the early mid-70s Shriver decided to open up branches in the East and Midwest, including an office in DC. In 1978, I was hired right out of college as Shriver’s first full time IT person, their initial hires were more business and management consultants. My plan out of college was to work for a couple of years and then get my MBA, as my long-term goal was to run my own business. I took the job at Shriver, thinking working for a very small consulting firm would provide me with a broad range of experiences and business insights that I would not get at a larger firm. By 1980, Shriver decided that the whole branch strategy wasn’t working, so they decided to sell off the DC branch. The branch manager asked myself and one other person at the company if we wanted to purchase the branch which we did, and that was the beginnings of CC Pace. Craig: I was solicited by Rich Lichvar, who I had worked with at Freddie Mac (a client of CC Pace’s since 1980). Rich was at CC Pace (then Cabot Consulting) for a while before returning to Freddie Mac. He called me one day while I was working for Riggs Bank, he asked me to come talk to Mike Gordon and his partners. Ironically, I already knew Mike from playing poker at Barry Krone’s, who was another Freddie Mac contact. George: I was working with a recruiter at my job that also supported CC Pace. The position I was in at the time was high stress, poorly managed and very numbers driven, looking for quantity over quality. I had told the recruiter I was looking to leave my current position. He had worked with Mike Gordon in the past, and knew the culture and environment. He told me he felt CC Pace would be a good fit for me. 20+ years is a long time, describe what CC Pace was like when you started. George: I actually started in Business Development, but within a few months was recruiting full time. In those days, CC Pace didn’t have a recruiter and Freddie Mac was really heating up from a staff augmentation perspective. Mike Gordon asked if I would help out for a while on the recruiting side. Joanie Cassens was running the Freddie Mac account, and I was supporting her in filling their requirements. At the same time, our Mortgage and Enterprise Solutions groups were beginning to grow, so the need for someone to focus solely on recruiting and finding candidates increased. It was a great time to be at CC Pace, the company was growing and business was expanding. There was a real element of excitement and pride. We had a great mix of a young, energetic and seasoned team members to take us to the next level. The office was very lively, the culture and environment was great. Can you recall a major client/project from your early years with CC Pace that you feel has had a great impact on our success? Craig: Sometime around 1989, Bill Lehman and Mike Gordon selected an accounting system for Commonwealth Mortgage in Boston. That was the start of our work in the primary mortgage industry. Our client there was Mark Thompson, who remains a source of business for us today. George: Freddie Mac. They have been a client since our beginning; they were the primary influence for the creation of our staffing division, and we have been a Tier 1 vendor with them for the past 35 years. The relationship we have cultivated with Freddie Mac continues to evolve and remains strong today. As a result of this relationship many former Freddie Mac employees have referred us to their new organizations. What was your toughest challenge on a client engagement? Craig: I arrived at Fannie Mae to start a project somewhere around 1987, only to learn that the project I had been hired for had been cancelled. The manager, Karen Milan, said she was committed to using me for a project and looked over my resume. She said “it says you know SAS, I need someone to develop some reports for me.” I barely knew SAS, having used it only for simple data extraction tasks. I had to learn SAS on the fly, but went on to develop Fannie Mae’s first consolidated reporting system (pulling data from both the IBM and Data General platforms), their statistics-based approach to selecting loans for post-purchase QC and several other cool things. After my contract was up, Fannie Mae went on to create an entire department to continue doing the things I had started. What has been some of the biggest changes in your industry since you started at CC Pace? Mike: When I started, PCs did not exist. We were a mini computer company so our development work and any corporate computing was done on our Data General (DG) minicomputer, which doesn’t even exist anymore. It cost us over a quarter of a million dollars for the DG and it only provided a fraction of the computing that you get when you can buy a PC or laptop today. The internet wasn’t around for commercial use, so the connectivity and the access to information and applications that the internet brings was not available. The notion of mobile and other personal devices for communicating didn’t exist. If you were on the road and had to make an important call, you’d go find a phone booth. From a software development standpoint, the adoption of Agile methods has drastically changed how we go about delivering software. Craig: Constant regulatory change, but the growth of network services integrated into the Loan Origination System LOS has been a huge change to technology. What do you feel are the biggest technology advancements in the last 35 years? Mike: I’ll go with the Internet. It has completely changed how business processes can work, with some changes having wholesale effects on some industries, e.g., travel agencies, book stores. The application systems that we build now are all web-based with the Internet connectivity providing ubiquitous system access. The rise of social media, enabled by the Internet, has changed how we think and go about marketing. When we are trying to answer a business question or find a certain type of provider, we are disappointed when the answer doesn’t pop up quickly from our Internet search. What about the culture at CC Pace has influenced you to stay here for 20+ years? George: In the beginning, it was the people, some of my family’s closest friends are people from those early years at CC Pace. As CC Pace grew, being a part of a growing, vibrant company made it a very exciting and engaging environment. Over the years the culture has evolved, but having the ability to make a difference, maintain a work life balance, having a say in where the company is going and how it was going to get there, has remained the same. Mike Gordon has developed a culture where everyone is working towards a common goal. He has done this by sharing information, having an open door policy, and offering constant support to his team. What, if anything, do you miss about the old days at CC Pace? Mike: I miss being downtown, although I don’t necessarily miss the commute to get there. There are so many interesting places to eat, socialize, and explore, and back then, I had plenty of free time on my hands to do all of those things. Our original office was a brown stone town house that was on 16th Street, about a block from the White House. The former home of some rich Washingtonian, it was 4 stories high and the various rooms were converted into offices. As the newest employee, my office was in the basement. What was most interesting about this room is that it had a boarded up doorway that led to a tunnel underneath 16th Street, it went from the old Russian embassy to my office. During the Cold War, this was the escape route for the Russians if the embassy was ever under siege. If you ask me what I least miss about those days, I’d probably have to say the lack of office tools. I can’t imagine trying to write a proposal without a word processor, but we used to write proposals on a typewriter and make corrections using White Out (feel free to do a Google search on White Out if you’re young and have never heard of the product). We hope that you have enjoyed an inside look on how members of our leadership team found their way here and how CC Pace began. As you can see this is a company that has and continues to evolve. Stay tuned for part two of our blog series highlighting our 35th Anniversary, where we will be sharing the perspectives of current employees on present day life here at CC Pace. In a business world where people are always moving on to new opportunities, what makes someone stay with one company? What makes you say, ‘I think I want to learn and grow with this company’? 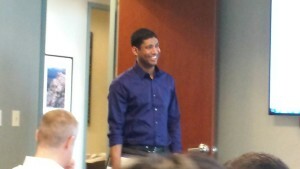 This year CC Pace celebrates the 5 year anniversary of two employees, Jenna Bayer and Ashok Komaragiri. Jenna is our Corporate Marketing Manager and Ashok is a Technical Consultant in our Enterprise Solutions practice. CC Pace President, Mike Gordon, recognized both at our Staff Meeting in March 2015. He spoke about each regarding their accomplishments and how they have grown over their tenure with the company. Mike then presented them each a service award and the traditional CC Pace gag gift. We wanted to find out from Jenna and Ashok what drew them to our organization, what have they learned here and what do they see in their futures at CC Pace. Why did you chose to join CC Pace? JENNA: Ultimately, I was drawn to the culture of CC Pace. I liked the work-life balance they offered and the fact that there were a number of employees who had been there for a decade or longer. At the time of my hiring, I believe the average tenure was around 11 years. To me, that said there were opportunities for growth and indicated that CC Pace must be a great place to work to have such a low level of turnover. ASHOK: I first heard of CC Pace from a friend of mine who had worked with them very closely on one of their earlier projects. He spoke very highly about the standards set by CC Pace on that project, and the technical skill set they brought with them to the table. My friend mentioned how without ever losing focus on the client’s needs, the CC Pace team always delivered efficient solutions to complex problems. The fact that they were also at the forefront in using Agile Software Development Methodologies greatly caught my attention. When I was looking for a new opportunity, I was very fortunate that my friend could refer me to CC Pace. What have you learned while at CC Pace? JENNA: I’ve learned so much in my 5 years, but I think the most impactful lesson I’ve learned is to not be afraid to take risks or make mistakes. Having the freedom and support from upper management to try things out and really be able to figure out what works, (along with what doesn’t) has taught me more than if I had it all spelled out for me. ASHOK: The most valuable skills I have learned are the practical application of Agile Methodologies combined with Engineering Practices like Test Driven Development (TDD) and Extreme Programing (XP). What is one of your most memorable moments? JENNA: It’s hard to pick just one, but October 2013 when our new website launched was definitely a highlight. It was my first time working on a large marketing project and I was so excited to be a part of it. It was a much larger project than anticipated, but I learned a great deal and it was a lot of fun to see the final product! ASHOK: The most memorable moment for me so far has to be when we went live with both the Student Tracker for High Schools Rewrite, and the Student Matching applications at the National Student Clearinghouse. It was very gratifying to hear from a client how we greatly improved their productivity and what used to take them a month to process now takes only a few hours. In our world that is a huge success! What are one or two of your future professional goals that you would like to achieve while working at CC Pace? JENNA: I’d definitely like to see our blog readership take off (shameless plug: if you haven’t subscribed, now would be a great time to do so!) and I am looking forward to being a part of increasing our marketing efforts. ASHOK: Personally, I look forward to continue to deliver quality projects by always focusing on clients’ needs and adhering to Agile Principles. As we look forward to seeing what these two accomplished individuals bring to their futures here at CC Pace, we see that having a work environment that encourages growth and learning are strong factors in why employees make the decision to stay. The answer: CC Pace Technical Consultant, Christopher Soule! Each year, members of the Fairfax County community are named “Lords” or “Ladies” Fairfax, an honor presented to individuals based on community service and leadership. These honorees are named by Members of the Fairfax County Board of Supervisors, and receive their awards at the start of “Fair Week” each June. Chris received this award because of his exceptional community service! He has spent close to a decade as the President of the Jefferson Manor Citizens Association, one of the largest and most active civic associations in the Lee District. In addition, Chris was named chair of the Lee District Association of Civic Organizations (LDACO). He also represents the LDACO at the Fairfax County Federation of Citizens Associations. Chris said he has always had an interest in politics and government. That interest led him to the board of the Jefferson Manor Citizens Association back into 2005. The association acted not only as a community building tool within the neighborhood, but as a bridge with the local elected officials at the county and state level. If Chris is not busy enough, there is even more on his plate. As a long-time resident of the Route One Corridor, he is dedicated to revitalizing the area. Chris recently joined the Board of Directors for the Southeast Fairfax Development Corporation (SFDC), a nonprofit economic development organization that promotes redeveloping and revitalizing the Richmond Highway corridor from the beltway to Fort Belvoir. As a board member with years of experience in the civic association world, Chris has had a front row seat to how contentious redevelopment can be. He knows it can be easy to lose track of the daily life experiences of communities when redevelopment happens. Chris hopes working with business owners, developers, and local residents that the Route One corridor revitalization efforts will be understood by all sides throughout the process. Chris will receive his “Lord Fairfax” award during the Celebrate Fairfax fair being held June 5-7. Now the big decision, should he or should he not add “Lord” to his business card?